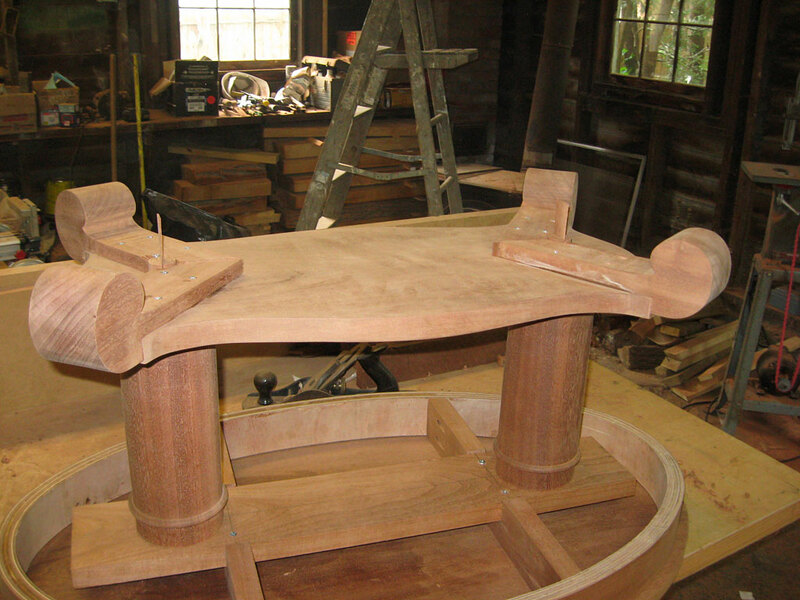 Being the first piece of furniture I had ever built, this was a nice challenge. 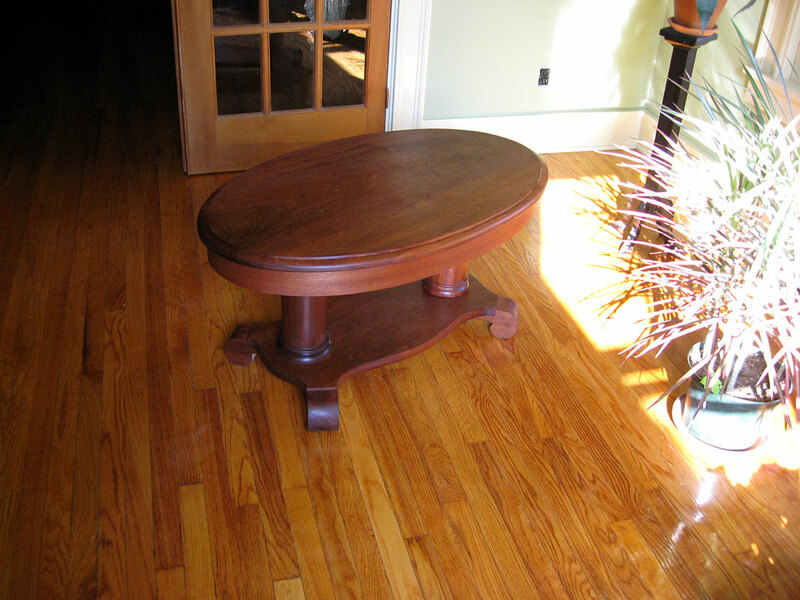 Patterned after the “Empire” style with scrolled feet and base, and featuring a veneered elliptical apron, it stands 20″ tall and is 40″ long X 24″ wide. 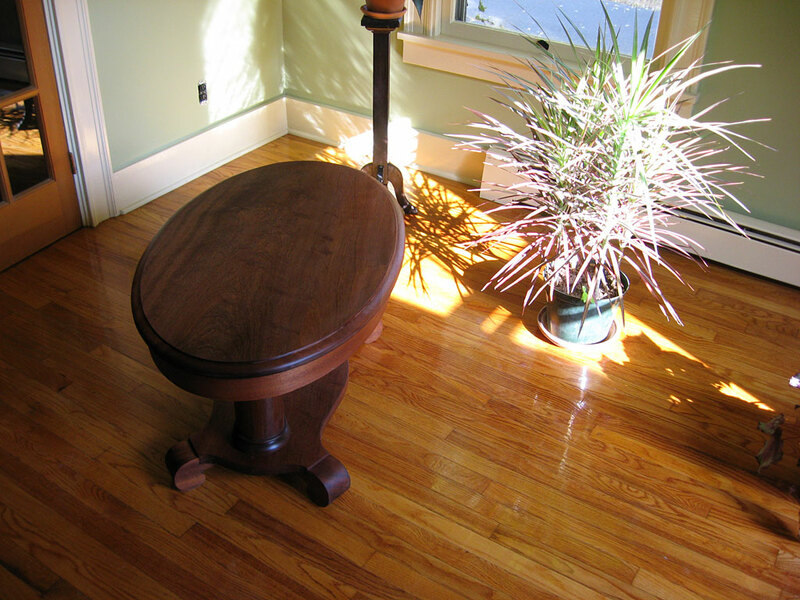 Built entirely out of Sapele, a West African wood similar to Mahogany. 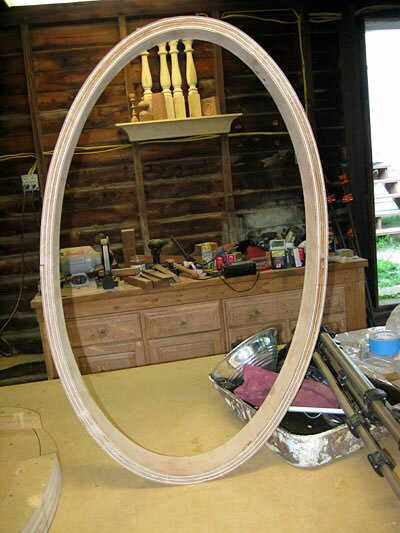 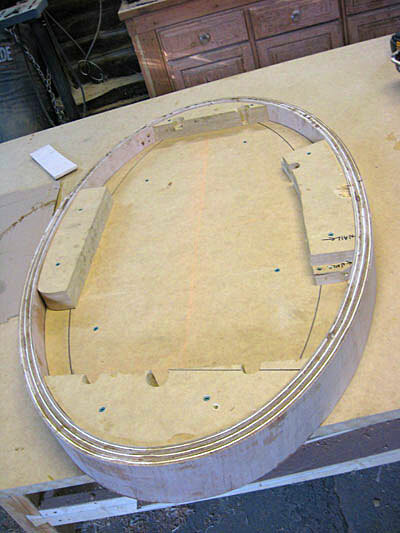 Similar to my eyebrow dormer project, this started off by creating a full size ellipse on MDF using a piece of string and nails until a pleasing shape emerged with the length and width I desired. 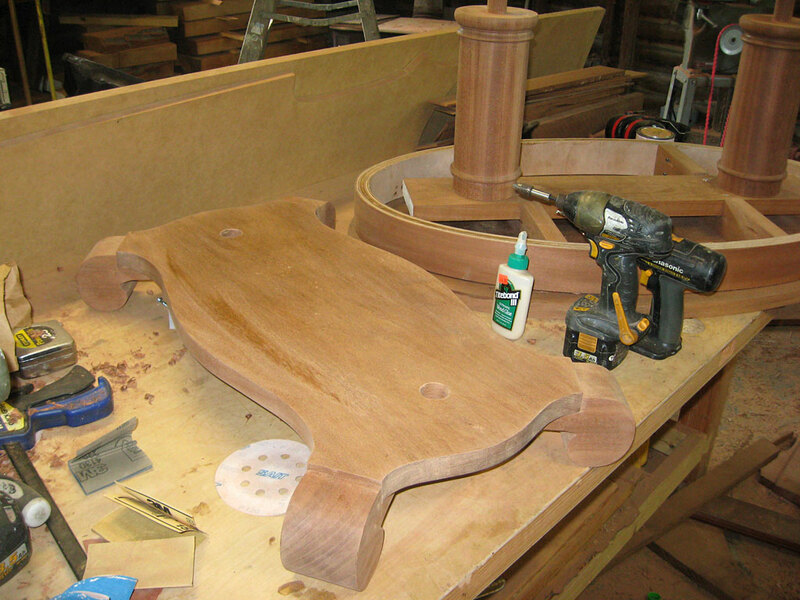 This pattern was then cut out and duplicated several times to have a thick enough form to wrap the apron around for glue-up. 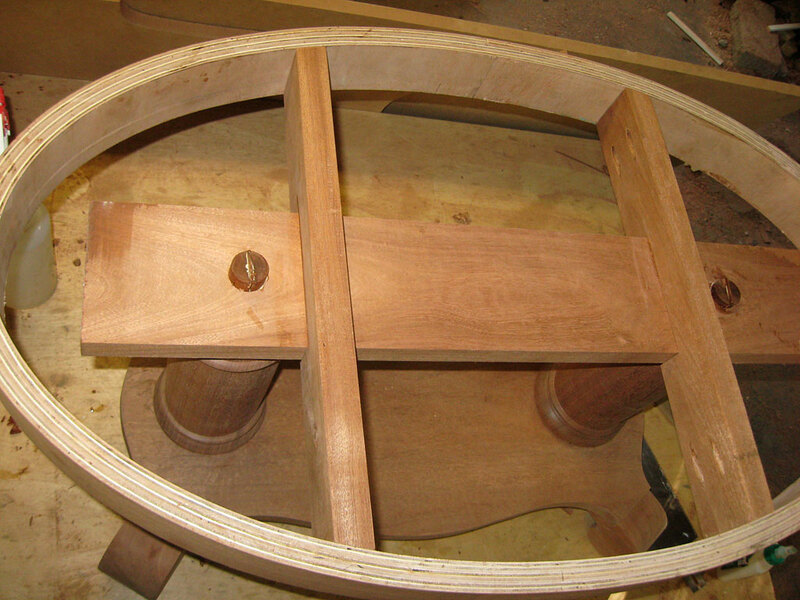 The turnings are fairly straightforward, as are the feet. 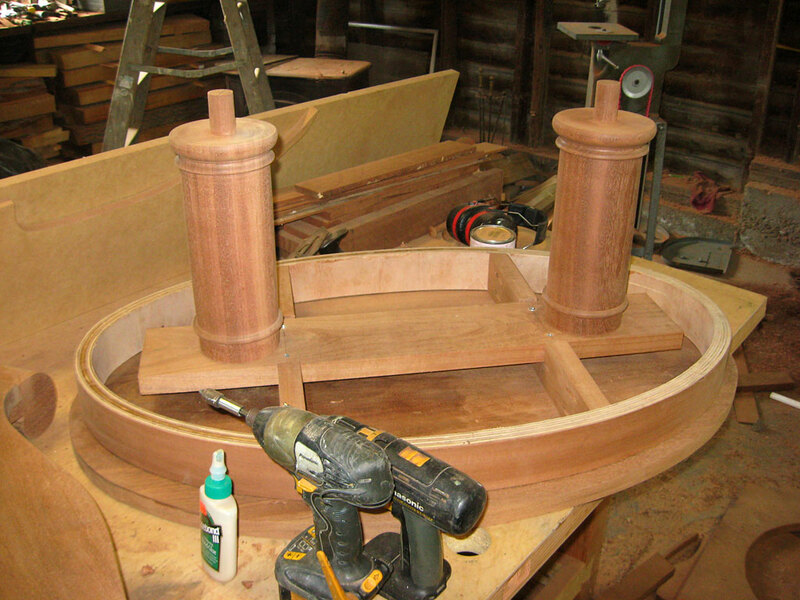 The bottom piece was established by free-handing a drawing of one quadrant, then tracing that onto the four corners and cutting it out. 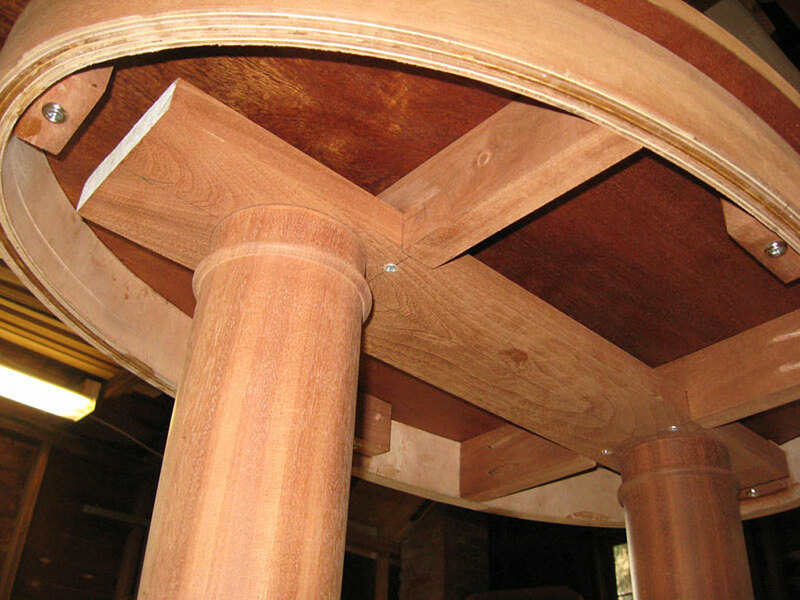 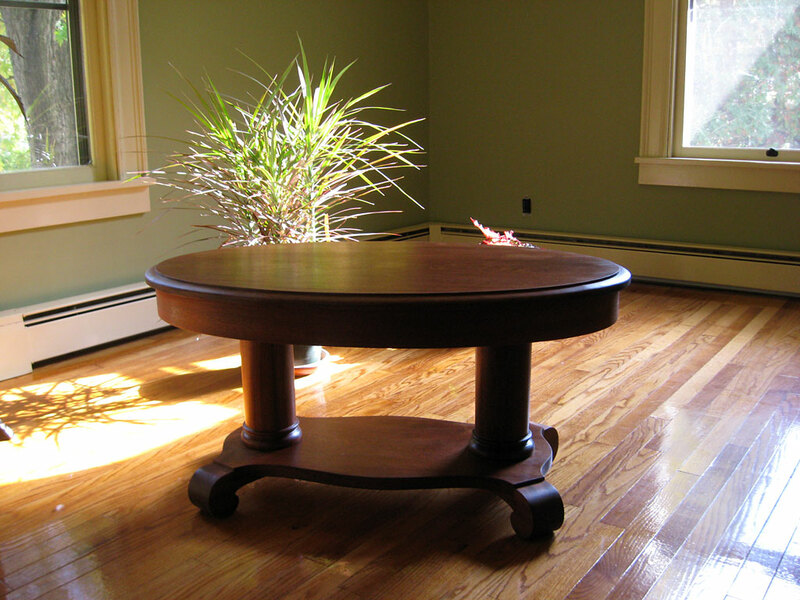 Schmolze Woodworks can be commissioned to build any piece of furniture you like, including antique duplications.